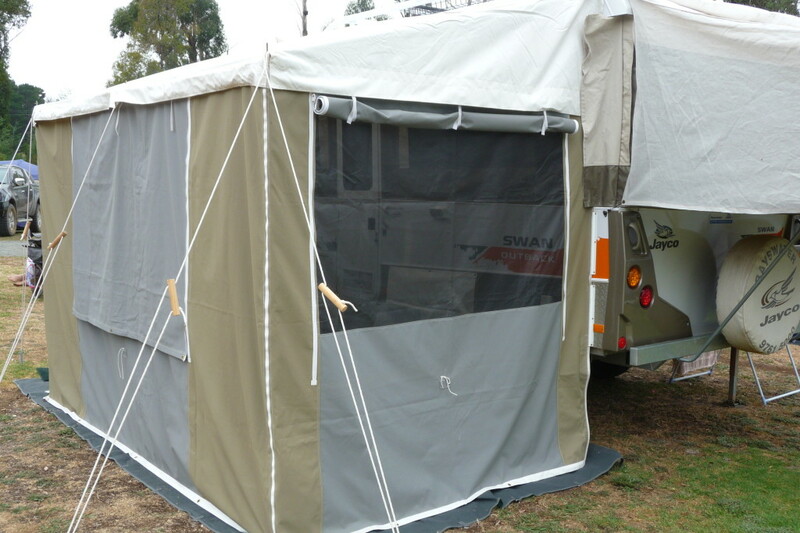 Review 2011 Jayco Swan Outback camper trailer. Standard features include ALCO suspension, 150mm x 50mm RHS chassis, ALKO drops and brakes, gas bayonet, extra 250mm height and protective aluminum checker plate on the sides. There were two moments in early 2011 that got us thinking about purchasing a Jayco campertrailer. The first was during a summer storm at Lakes Entrance where we had an inch of water under our Blackwolf tents The second was choosing not to sleep on the red dirt of Central Australia and being off the ground. We were camped at a Lakes Entrance caravan park in our Blackwolf Turbo tents. Next to us was a $20k camper trailer with all the bells and whistles. Little did we or our neighbors realize that we were actually camping in the lowest section of the park. When the storm hit at 6:30pm, the kids were directed to the safe and dry confine of the tents while us adults tried in vain to hold down the gazebo and stop it from flying into Bass Strait. Once the front passed, we had copped 50mm of rain in less than an hour and soon worked out that we were camping in the lowest point in the park. Our neighbors, who had not noticed the purple clouds descending on Lakes Entrance and weren’t very prepared suddenly relished that they we camping in a very large and deep puddle. The Blackwolf Turbo tent door is around 15 to 20cm from the ground and the floor is made from PVC which meant no water was getting in. Not so for the camper trailer next to us. The door on the camper was only 5cm high and the floor was made from canvas. Water was pouring into their tent section wetting all their bedding ang clothing. They weren’t happy to say the least. The next 2 hours were spent venting their frustration at the park owner, at each other and packing up all their soaking wet belongings into a very wet camper trailer. They left the park at 10pm wet and frustrated knowing they had a 4 hour trip in front of them to get home, a wet camper to unpack and dry including all their gear. I often wondered if they put a for sale sign on it after that trip. Our other neighbors next to us happened to be in a couple of new Jayco Outback’s with their occupants nice and dry and comfortable during the storm. They could cook dinner and the kids could quietly read or play their electronic games while the storm passed. Laying in bed that night, we decided that if we were to buy a camper trailer, it would not be a soft floor type. It would have to be either be a hard floor offroad camper trailer or a Jayco camper trailer. After a couple of visits to caravan and 4×4 shows in Melbourne, we decided that a Jayco outback camper trailer was the best option for us. The top of the range hard floor campers were in the price range of $35k to $55k and outside our budget. Alternatively, the new Jayco Outbacks were between $20k and $30k depending on the model. The next step was choosing which model. The Jayco camper trailers come in either the standard or Outback range. Once you decide on whether or not you’re taking the camper off road or not determines this choice. 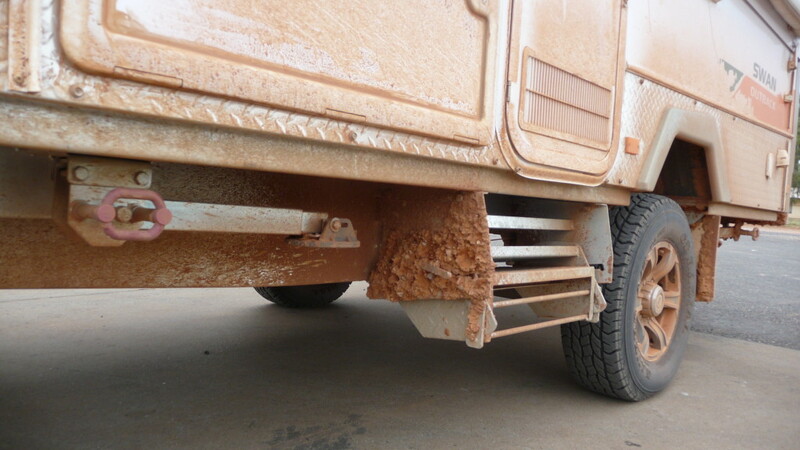 We chose the Outback range because of it’s added strength and higher clearance that they offered. Next up was to identify which model suited our family of 2 adults and 3 children. We narrowed it down to two models that we felt would accommodate a family of 5 which was the Eagle and the Swan. Two main features of the Swan that we liked were the extra Buffet and the extra width of the rear bed compared to the Eagle. The rear bed in the Swan is 170mm wider than the bed in the Eagle. This meant that sleeping two children on the rear bed was easier. In fact, we find that a teenager and a 10 year old can comfortably sleep up there with their bags at the end of their feet. The extra buffet meant that we had a dedicated cupboard for food and a very handy bench near the entrance of the camper trailer. We use this bench space for food prep while we can leave the Nespresso coffee machine, toaster and kettle out on the other bench near the sink. Jayco’s tend to hold their value fairly well. 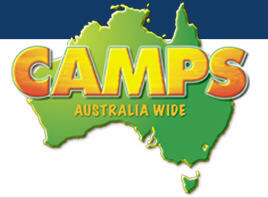 A Jayco camper trailer purchased for $28000 will lose around $3000 over a two year period. We started looking at secondhand units until we discovered the minimal depreciation on a new one. Purchasing a new one can either be made by placing an order through a Dealer and waiting for a few months for Jayco in Dandenong to make it. The benefit of this is it’s easier for Jayco to customise at the factory while it’s being built. For instance, an extended drawbar, external speakers, heating, cooling, interior colors, hot water unit, different suspension all can be done while being built. Alternatively, the Jaycos can be purchased from the Dealer assuming they have what you want in stock. We were fortunate that they had an Jayco Swan Outback on display and with the promise of getting it “freshened” up, we made our purchase. We liked the color scheme and Bayswater Jayco were able to add the features we required. 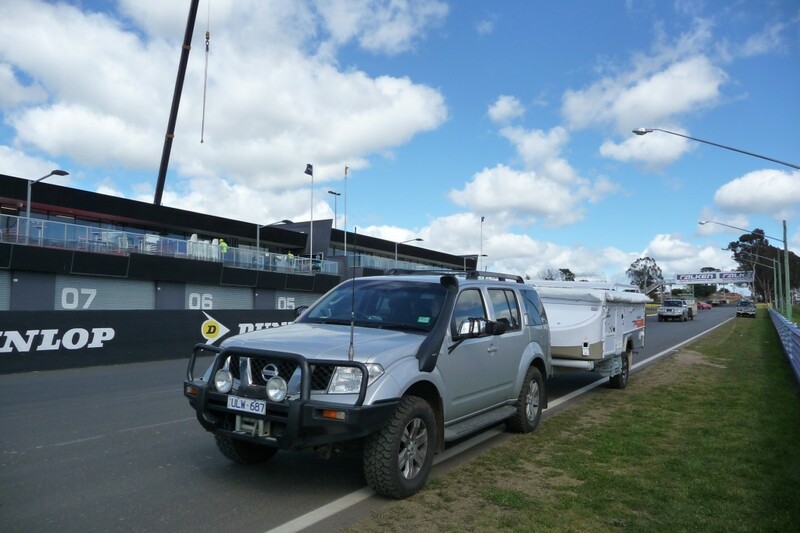 A week later we were on top of Mt Panorama in a brand new Jayco Outback Swan. The new smell was quickly replaced with the campfire smoke of all the campers at the Bathurst 1000!! 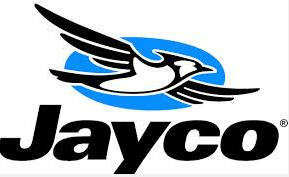 When picking up the Jayco camper trailers, the Dealer will provide instruction of how to set the camper trailer up. This will usually take a couple of hours and is part of the service Jayco provides. 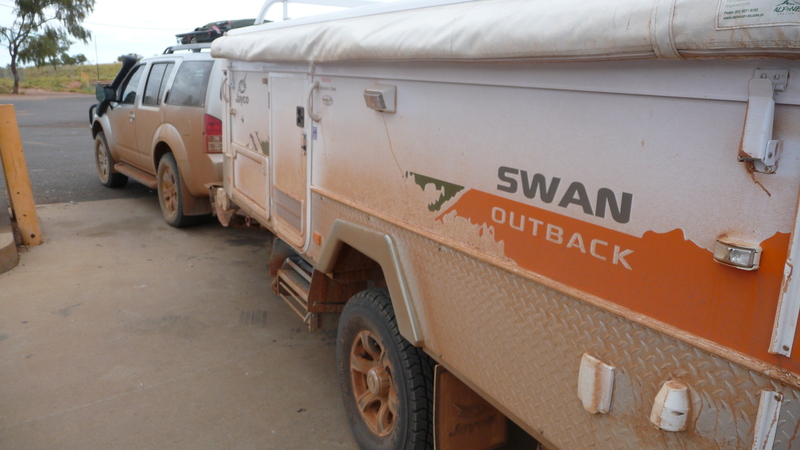 We have had the Jayco Swan Outback for nearly two years now and have travelled 13000kms in it. It’s had it’s issues along the way but they have covered under the Jayco 12 month warranty. The accessories that we included were an innerspring mattress, 3 pole holders, Anderson plug, 100amp Battery, Kitchen awning, Bed end flies, Extra Gas bottle and an Annexe from Alpine Canvas from Bayswater. The fabrics were also sprayed with a protectant from Vantec. The invisible spray protects the cushions and blinds from staining and has been proved a couple of times already. Both red wine and a bowl of cereal has been spilt on the cushions and both came up fine by wiping the spill with a clean damp cloth. The innerspring mattress Jayco sell are firm but comfortable. Add a eggshell mattress and the bed is as comfortable as any bed you’ve slept in. We put an eggshell mattress on both beds and covered them with fitted sheets. Adding 3 pole holders meant that we could use two for poles and the third for fishing rods. At $100 they seemed a bit expensive but included mounting brackets, end caps and the PVC tubing. We found that the end caps were a pain to get off and on due to the firm fit and trying to align the peg that held them on. We replaced them with screw on types purchased from the local hardware. For added security, lockable end caps can be purchased from Adilockablecap . 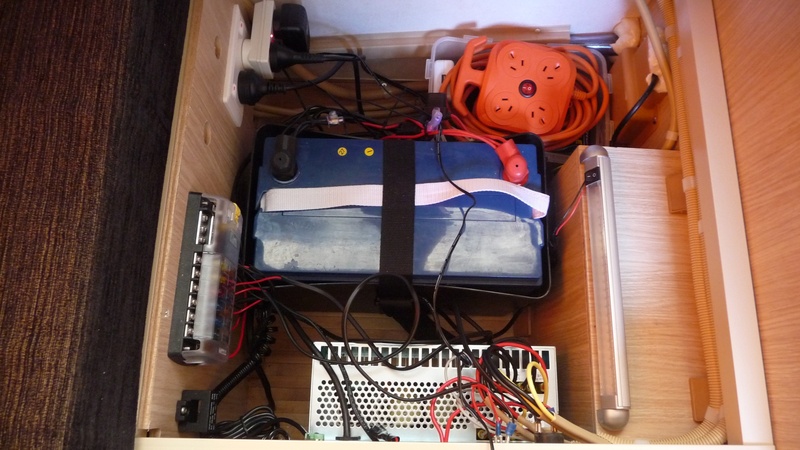 The 100 amp battery was installed in the camper trailer underneath front seats taking up valuable space. We moved the battery from there into the empty space where the Setec charger was located and added a couple of ventilation holes. There is enough space in this section to add a few internal spare parts, Jayco manuals and a power cable. I highly recommend a kitchen awning and bed fly ends. The kitchen awning provides shade in the camper, keeps the heat out and protects the plastic windows from the sun. It also adds an element of privacy where the blinds can be left open and no one can see in. On hot days or nights, any breeze will still flow through the van by leaving the windows open. They cost around $450, easily installed and take 5 minutes to put up or down. We purchased ours from Alpine Canvas. The bed end flies are also very useful for privacy and protecting the canvas. Before winding up the camper, unzip them and let them unroll. Quite often, we won’t put the poles up but then find that the PVC fly rests on the canvas of the Jayco. This doesn’t create the airflow between the two materials lets heat through the canvas and condensation to form. When packing up the camper, leave the bed end flys overhanging the beds. This way, even if raining, the beds will stay dry. We use the extra bottle of gas for connecting the weber 200 by running a long gas hose done through the bottom of the front boot. 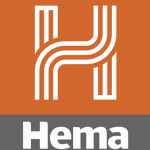 The primary gas bottle stays connected to the camper. 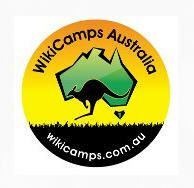 The Annexe was purchased from Alpine Canvas in Bayswater. The Annexe consists of the 3 canvas walls and bagged awning. We also have the ensuite at the rear that we use for the shower, toilet and portable washing machine. At the front of the annexe is an awning which provides shelter from the sun and rain when cooking on the Weber 200. The Swan served us well during the two years we had it however we decided to upgrade to a Jayco Expanda Outback 18.57-9 for our trip around Australia. We can highly recommend the Swan for its layout, ease of towing and especially for it’s comfort when camping. It was sad to see it go but equally exciting to order the new Expanda.